Want to catch a glimpse of our city’s first ever eco-friendly building? Then you got to visit a public park in Kukatpally where this building is supposed to serve as an office. GHMC took this up as a pilot project and it’s all set for an opening by the second week of June. The structure is said to be waterproof, fireproof, and termite-proof and the tests by GHMC has proven that it’s bringing down the temperature of the room by 2-4 degree Celcius. This project is spearheaded by Bamboo House India which wanted to build something functional out of recycled scrap instead of just street art. 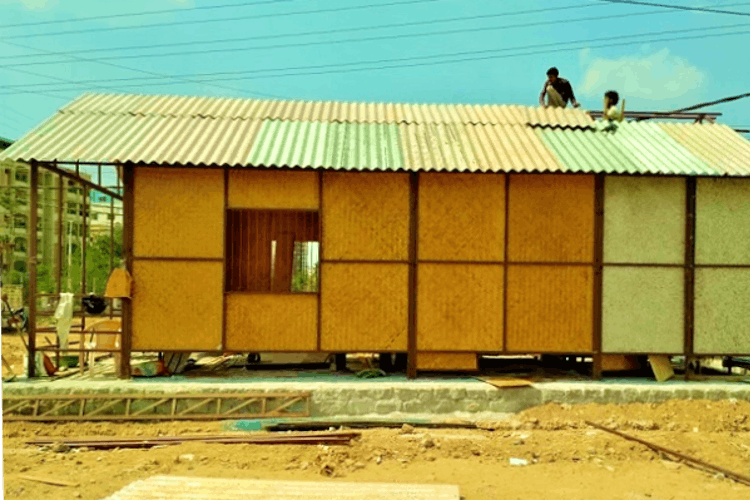 Made from half-plastic, and half bamboo, this also has recycled plastic as flooring tiles. This eco-friendly building will also have a public toilet module that will make use of plastic to replace walls and roofing sheets. We’re super excited to meet and greet this eco-friendly building. What about you? This story was first reported on The News Minute. You can read the full report here.